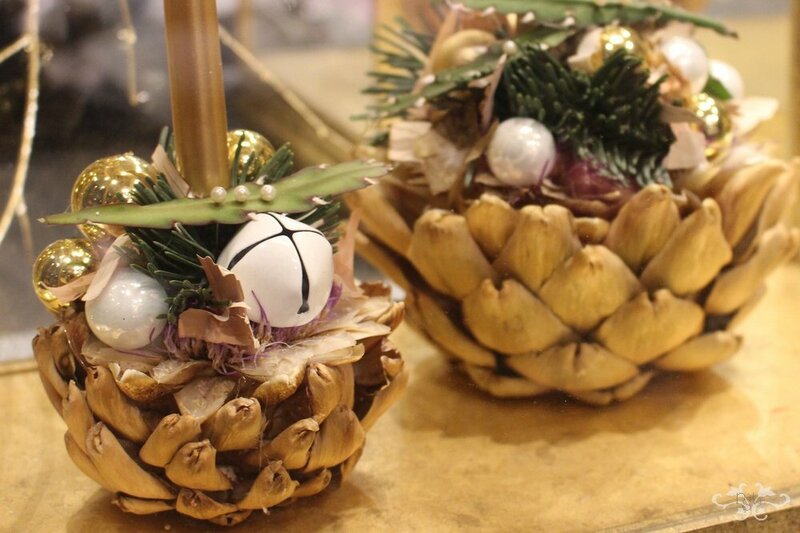 In this blog post, Neill explains all the different Christmas styling services and holiday decor he offers for the festive season. 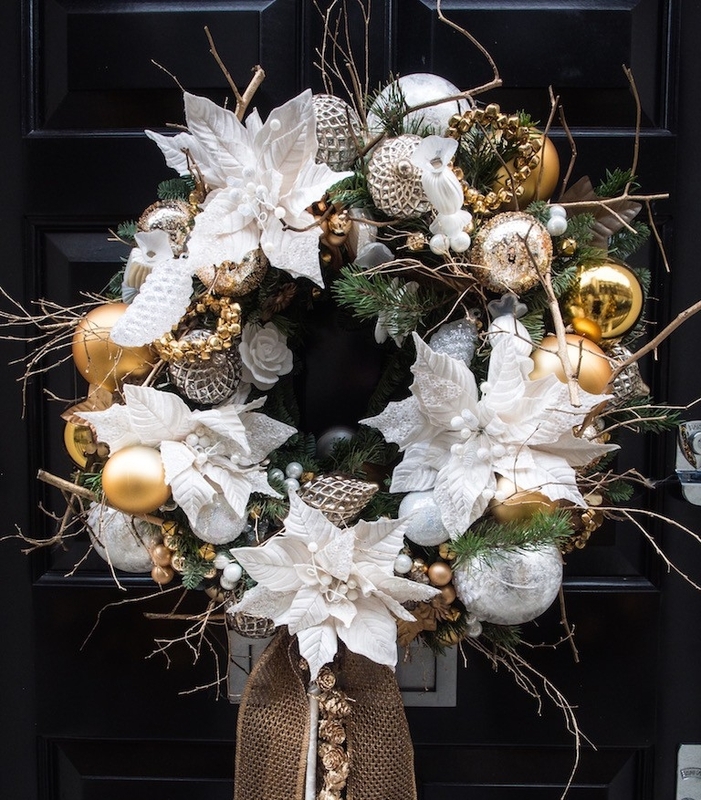 From freshly cut and fully decorated Christmas trees and door wreaths, to fragranced candles and floral arrangements, Neill shares his inspirational ideas for 2018 Christmas decor. 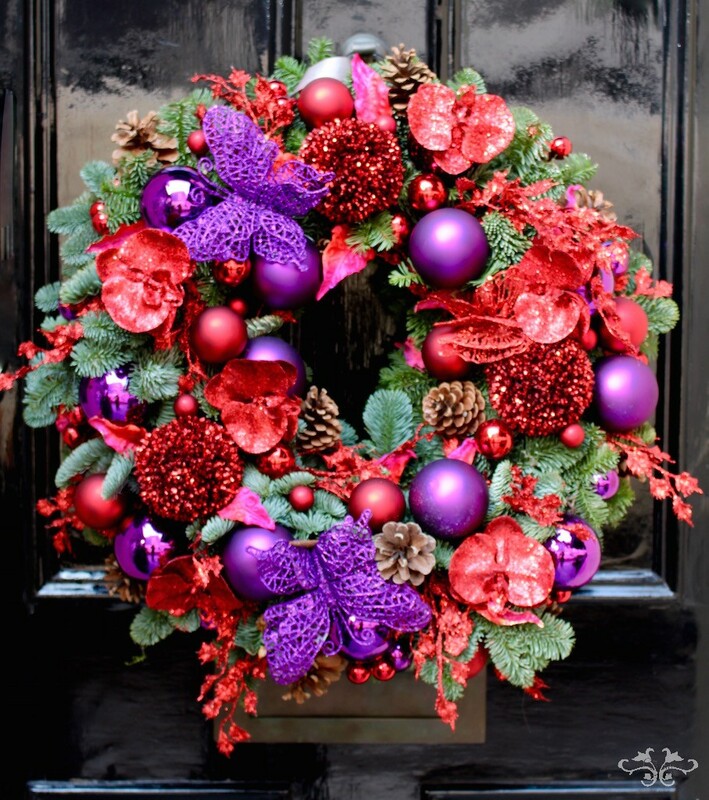 Dressing your home for Christmas starts at your front door… our bespoke door wreaths reflect your style and personality and give a flavour of what’s to be found inside. 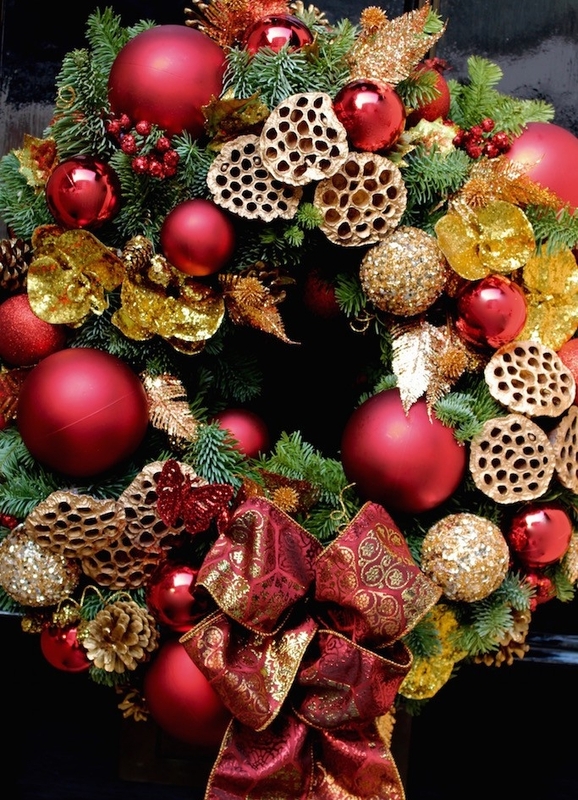 We create Christmas decor that gives you and your family a festive experience that is joyful and beautiful, touching all the senses and emotions evoked by the holiday season. 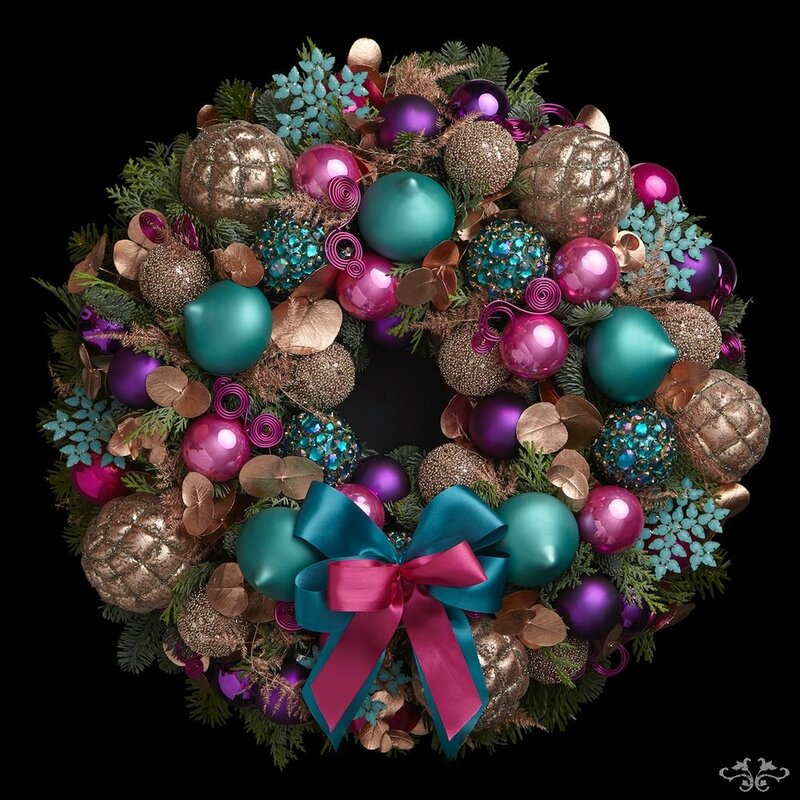 Our Christmas door wreaths are available in 3 sizes (small, medium and large) and in many different colour schemes and styles, some of which are shown here. 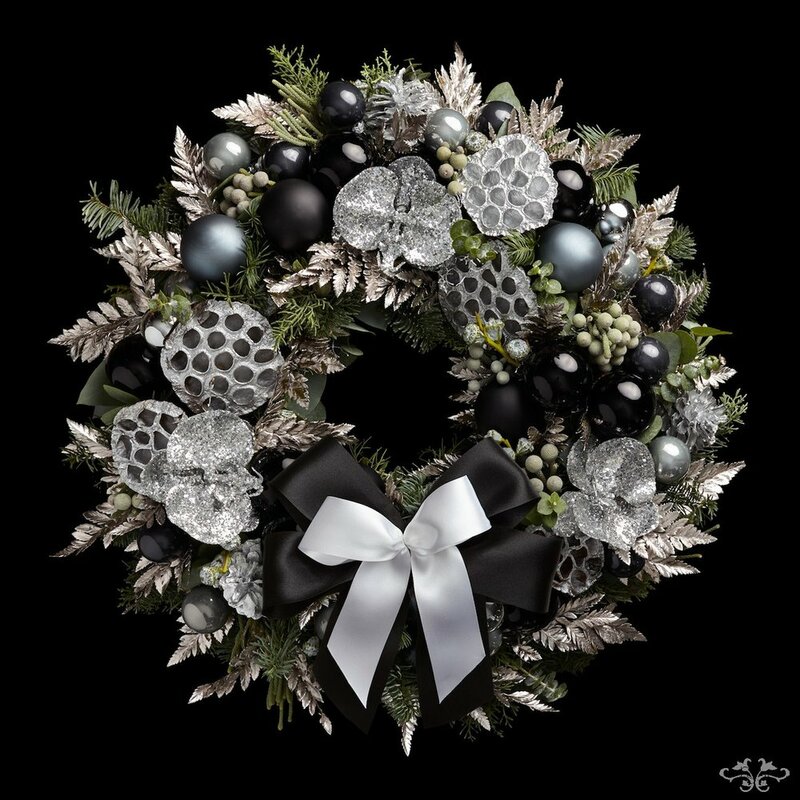 However, we can also design a bespoke wreath especially for you, inspired by the interiors of your home, or you can pop into our Belgravia boutique and choose your decorations from our fabulous selection and we’ll make the wreath exactly as you desire. 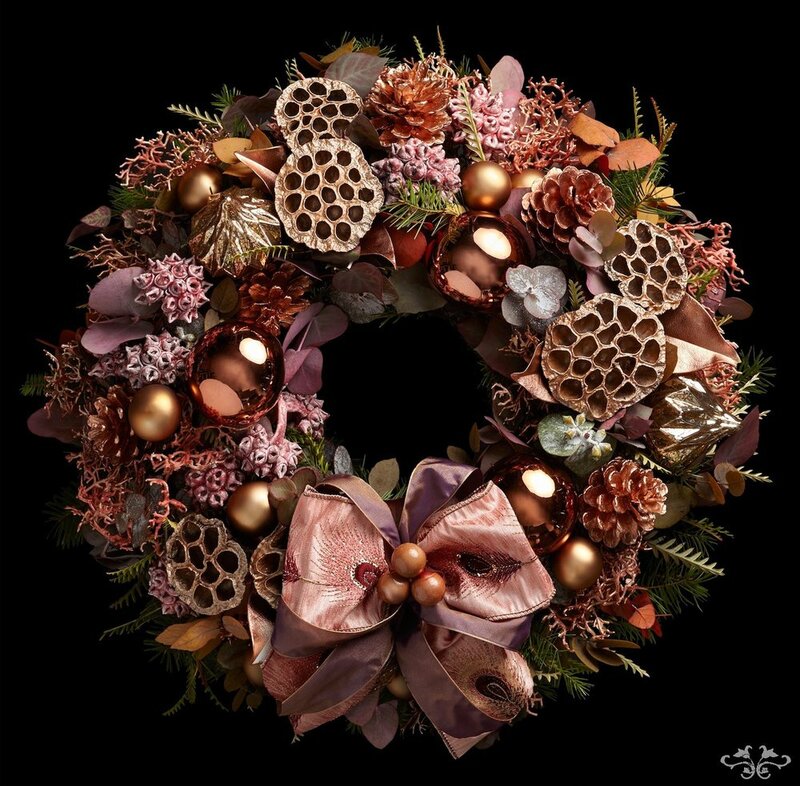 You can order a wreath online from our Christmas Collection 2018 and we’ll deliver it to you anywhere in London, meticulously packaged in a special box to make sure it arrives in perfect condition. Just click here. 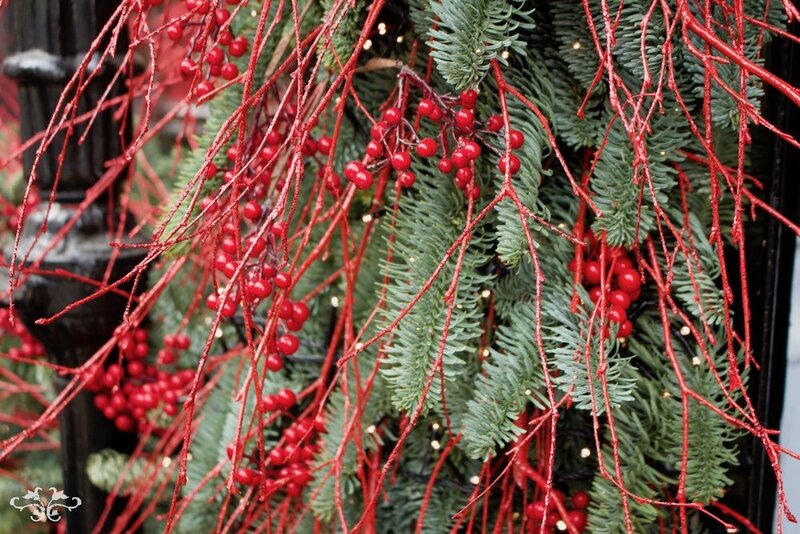 The show-stopper for Christmas is always the Christmas tree. We offer both fresh and faux trees and if you’re looking for something really exceptional we can select and cut a fresh tree for you from a British farm. 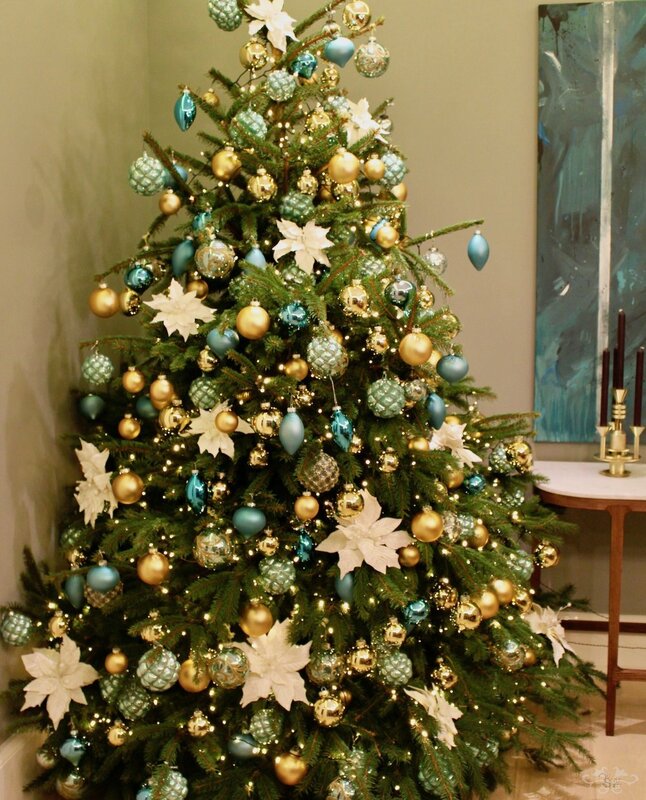 Our team will deliver your tree to your home and decorate it with twinkling lights, baubles and ornaments to create the exact style and look to complement your interiors and your personal taste. Just pop into the Belgravia boutique or call us for a home visit, and let’s talk about different colour themes, shapes and textures and see what inspires you. We design opulent garlands and swags for the mantelpiece. 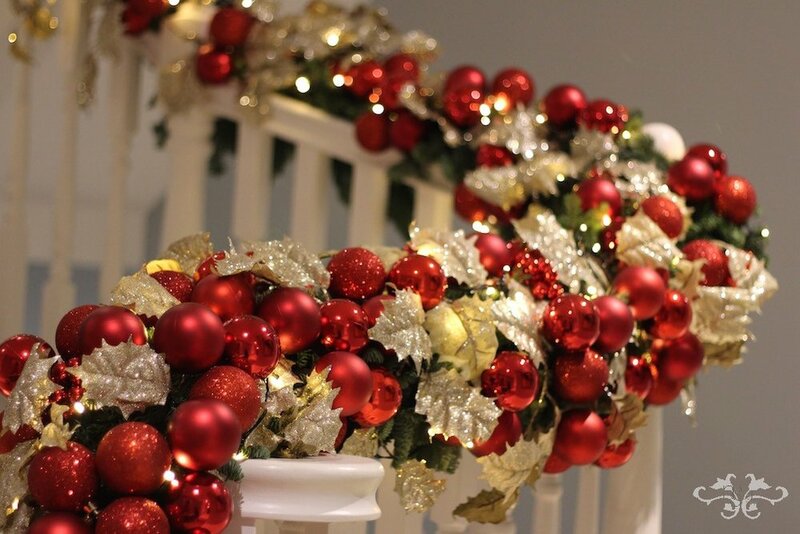 Or perhaps you would like to continue this festive cheer throughout your home with a garland in the stairwell. The dining room is the place where a great amount of time will be spent enjoying the delicious treats of the holiday celebrations. So decorating this space enhances the festive spirit. 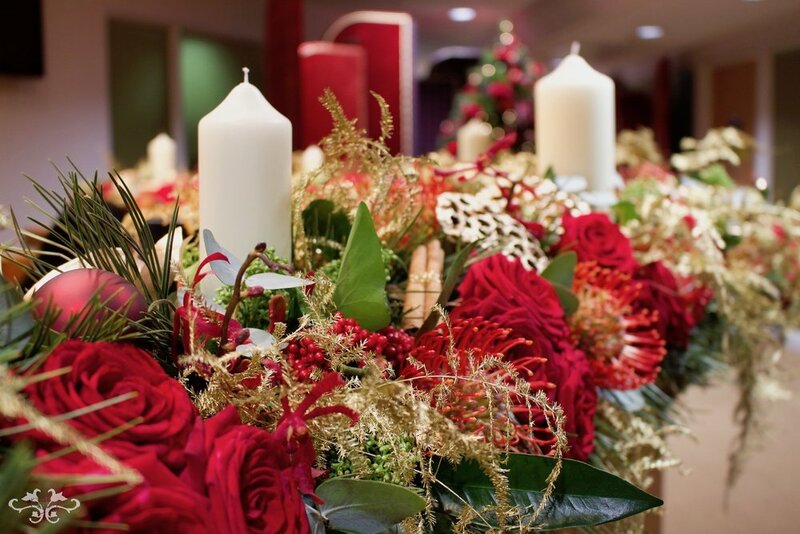 Another Christmas Tree, an opulent garland across the table, a stunning candle arrangement or a series of floral arrangements mixing fresh flowers and foliages with festive baubles and ornaments… See a few of our ideas below. And to perfect the experience along with all these magnificent designs, for Christmas 2018 we are introducing our own fragranced candle “Christmas Eve.” The scent of this candle I created myself. Limited edition, “Christmas Eve” blends the traditional scents of Clove, Cinnamon, Orange peel and Pine with Oak Moss and Musk for an uplifting allure. You can order it online or pick one up at the Belgravia boutique. 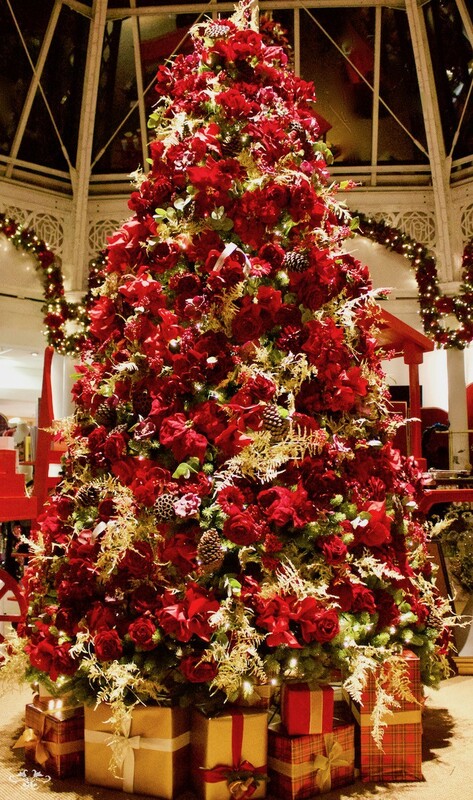 Our Belgravia boutique is already dressed for Christmas with a lavish festive window display outside and, inside, an impressive array of designs with fresh flowers, faux flowers and plants, ornately styled for the season. 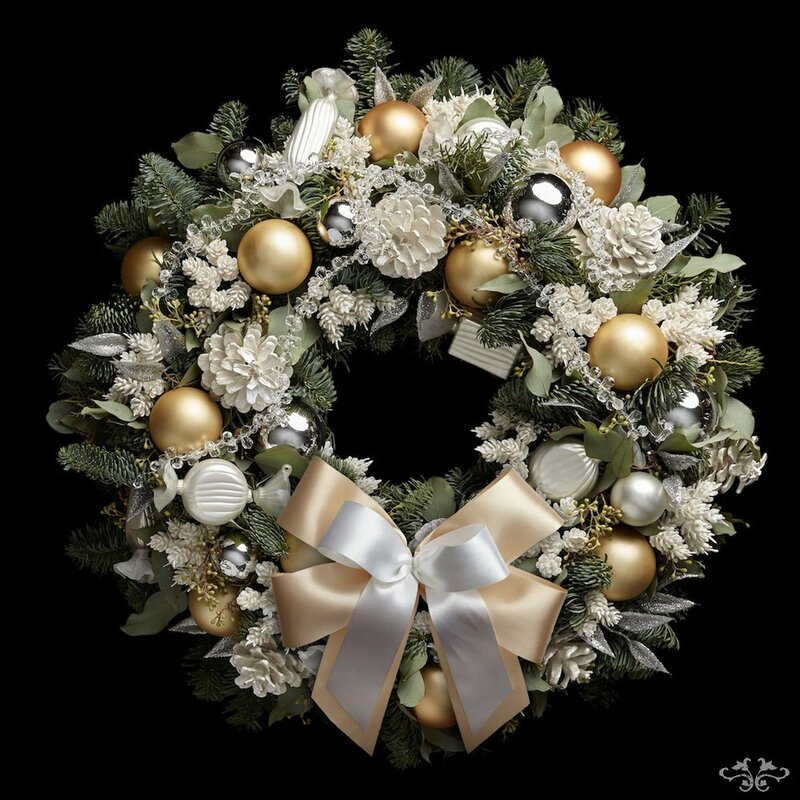 along with festive accessories such as baubles, ornaments, ribbons and giftware. 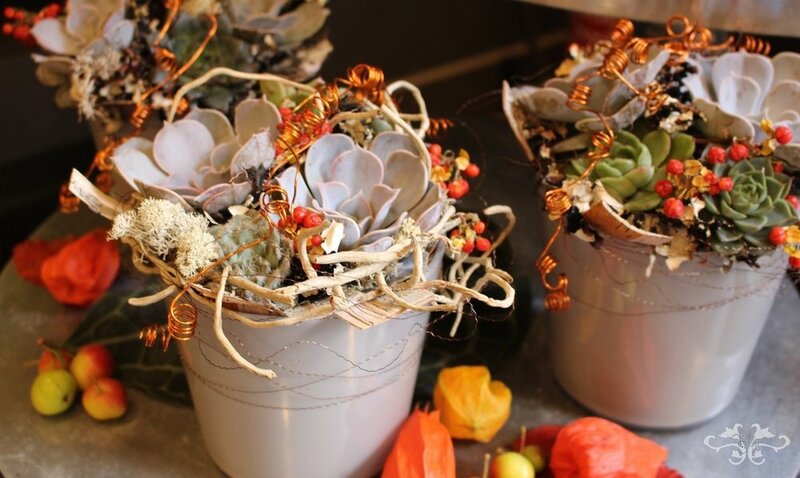 For those of you celebrating Thanksgiving, we have styled many designs for the occasion so pop into the boutique and take a look at our displays, or you can commission something bespoke. So all that’s left to do, with so many dazzling images for inspiration, is to get in touch and let’s start preparing for Christmas!